Give your design team the tools and resources they need to work faster and smarter . With SOLIDWORKS Subscription service from FEA Training Consultants Inc gives you a get a competitive advantage of using SOLIDWORKS Solutions. 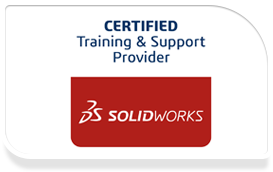 As a subscription customer you are entitled to receive Live Support,software upgrades,new version releases, access to resources on SOLIDWORKS software products. With Support and Service from FEA Training Consultants Inc.’s dedicated team of technical experts lets you focus on transforming your product development to business success.